Observing life through Sophia’s 3-year-old perspective is quite an experience. This is one of my favorite pictures of her, because she seems so “in the moment” even though you can only see her feet. For those unfamiliar with the Nelson, the last photo of her clearly reveals her location! Sophia loves to dance. 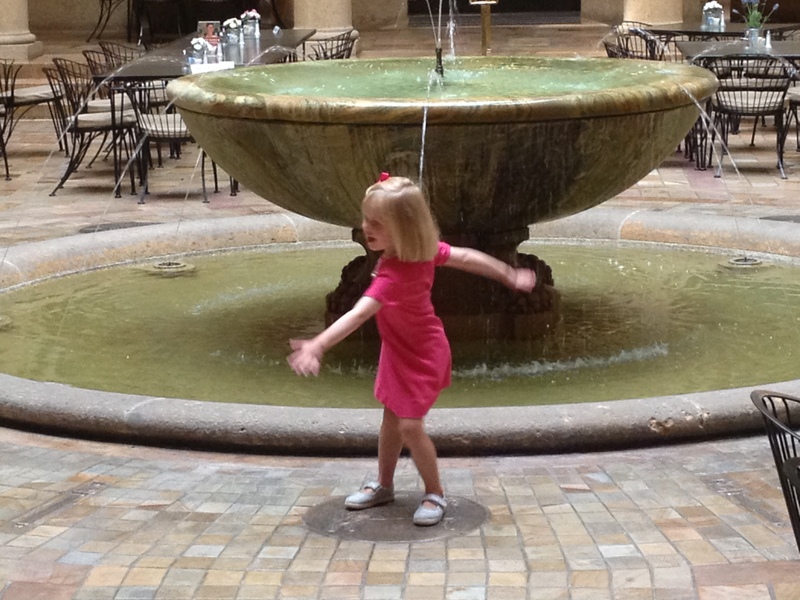 Constantly in motion, she seemed inspired by the Rozelle Court fountain, as she did the fountains throughout the area. 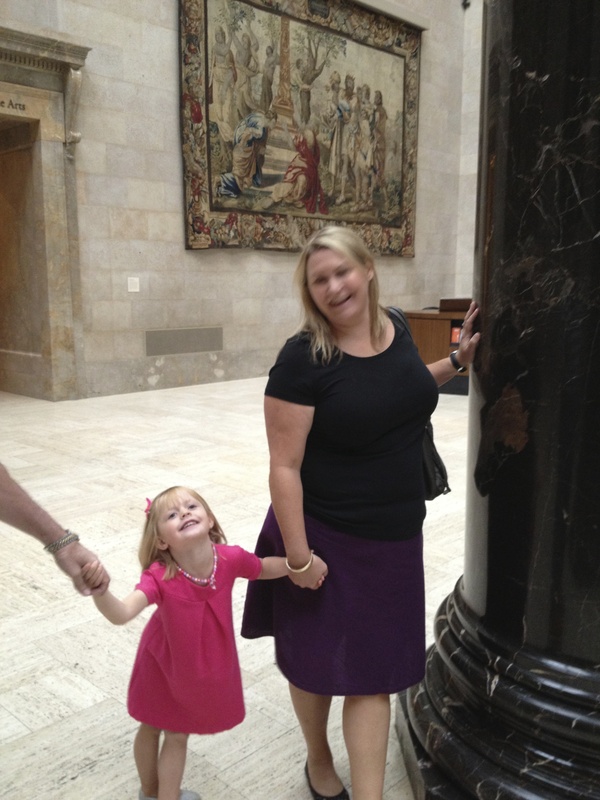 Lovers of art themselves, mom and dad ensured that Sophia actually toured at least the Nelson’s main gallery area. 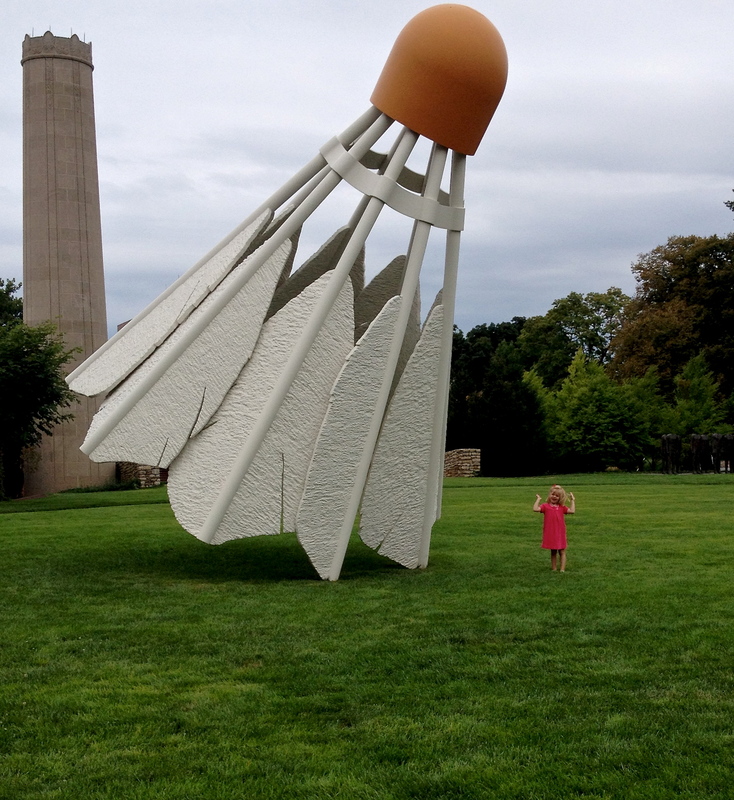 Here is Sophia standing beside–instead of hiding behind–the Nelson’s famous shuttlecock. Our visit was soon over, but we hop Sophia treasures her memories of Kansas City and family as we treasure her. This entry was posted in Art, Family, Photography and tagged culture, kansas city, Rozelle Court, Shuttlecock. Bookmark the permalink. How can she not? She does!